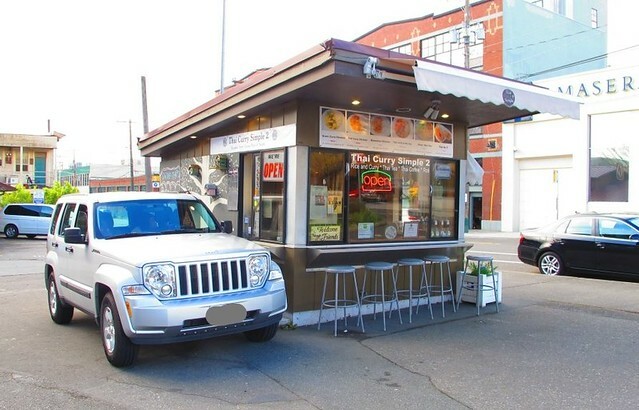 Strolling through my neighborhood of Capitol Hill in Seattle, I’ve always meant to stop by the tiny kiosk that is Thai Curry Simple 2 for a generous bowl of vegetarian Thai curry. I wish I would have taken a better photo of the place but found this one on their Facebook page which captures the size and location of the place. 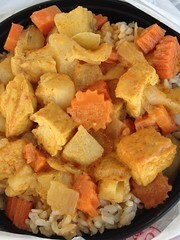 The curry is medium spicy and the broth that goes along with the tofu, carrots, and onion is not too thick. 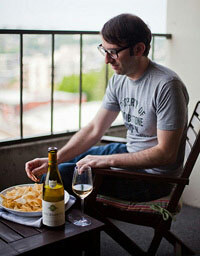 Sounds like it would be perfect for a nice Riesling. Unfortunately, I did not have my normal flask of Riesling on hand. * Luckily I had leftovers to enjoy later at home and, yes, with a glass of Riesling. A touch of sweetness really compliments the heat and spices and Riesling is always a nice wine for Asian food. Please bring this flask next time you’re in Seattle! I got a huge plate of food for 6 bucks. Easily two meals.